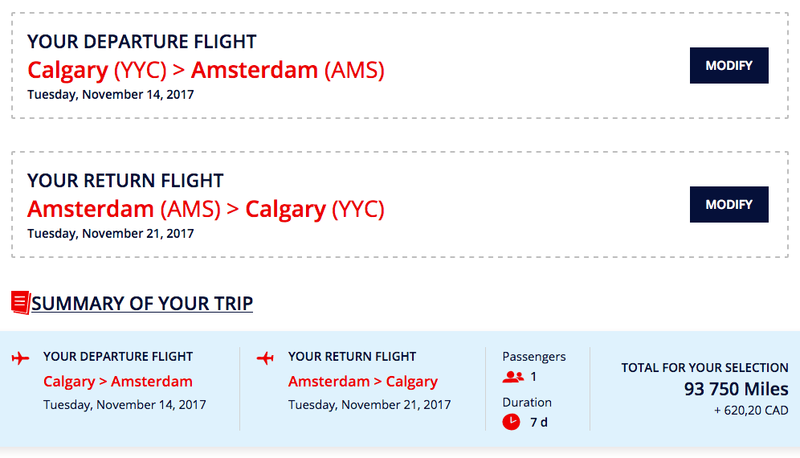 We've covered Air France KLM Flying Blue Buy Miles offers many times here on Rewards Canada and how you can use those buy miles offers to save on flights by redeeming for the famous Flying Blue promo awards. 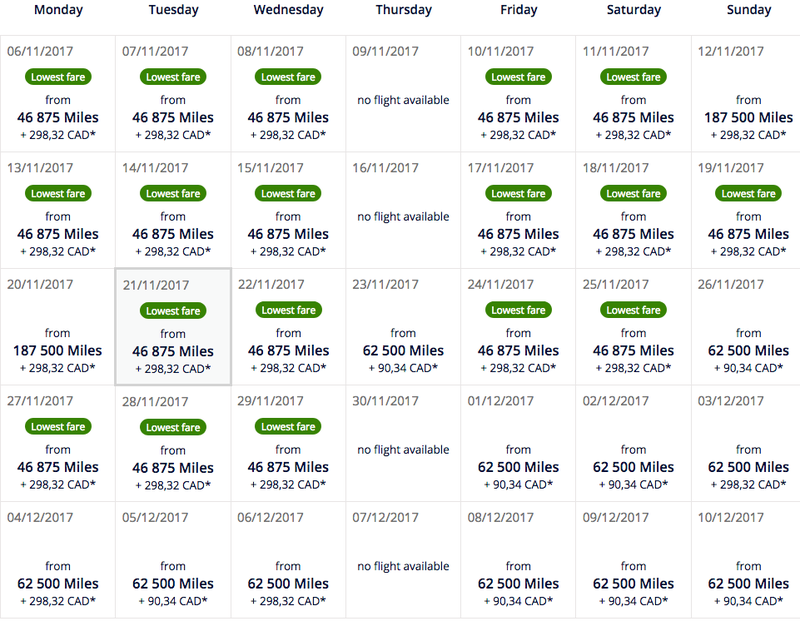 Here's the thing, all those posts covered the deal when the buy miles bonus was 50% and how it could save you money. Well things have changed for the better with the current Flying Blue buy miles offer as they have doubled the bonus! 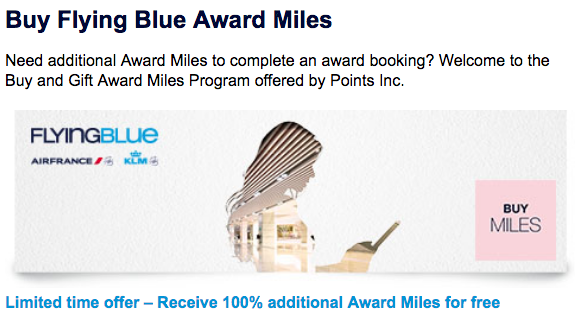 That's right, right now when you buy 4,000 or more Flying Blue Miles you'll get 100% Bonus Miles! Not to mention there are lots of Canadian offers in the promo awards offer right now! Looking at Nov 14 - 21, 2017 in business class you can get the discounted rate between YYC & AMS for 93,750 miles and C$620.20 in taxes and fees. To buy the miles will cost about $2016 (including 5% GST) and add in the taxes and fees on the award flight or a total of ~C$2,636. To buy the same tickets outright costs C$6,858.76. 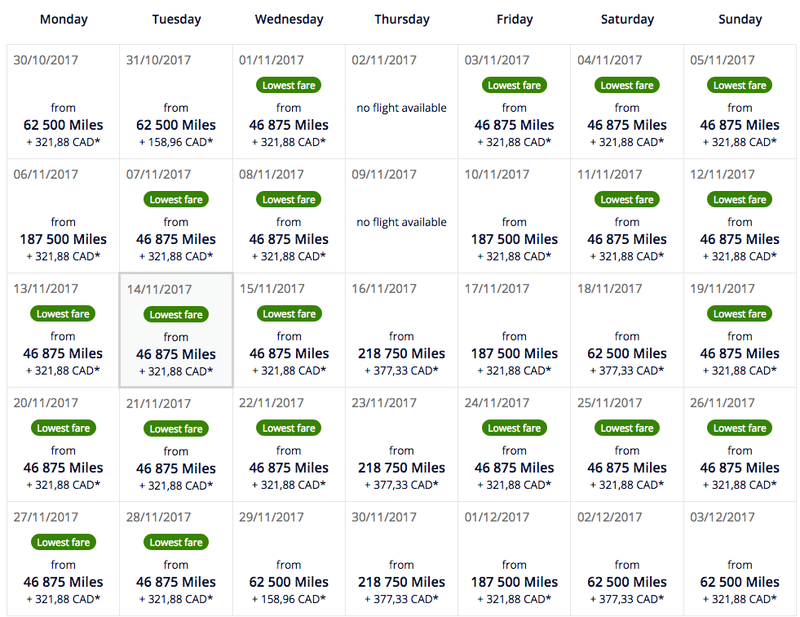 As you can see buying the miles can provide you a savings of over C$4,200 on these particular flights!!! 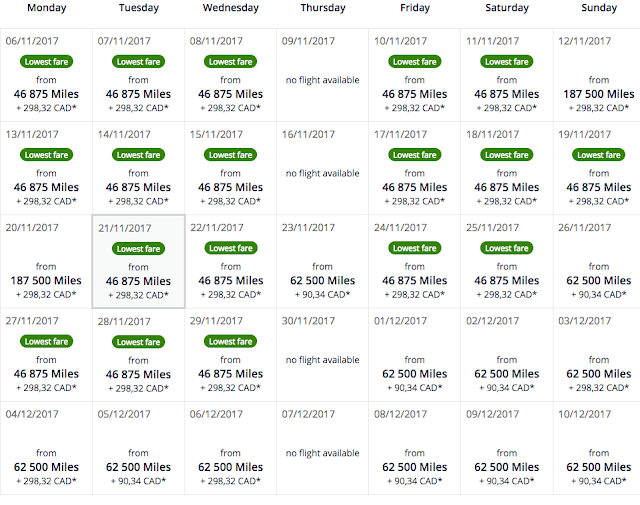 If you don't live in Canada those miles will only cost you 1320EUR saving an additional 66EUR or so. And the discount for these Flying Blue tickets is only 25% at this time, sometimes its 50% off so your savings could be even bigger. 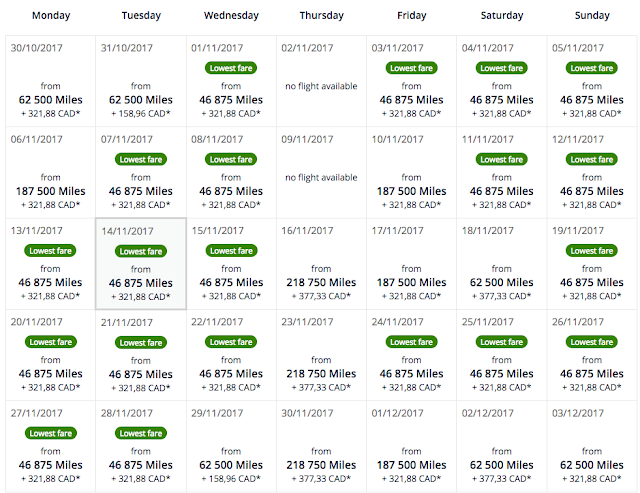 However we do not recommend buying miles if you do not plan on using them within the next 6 months or so. I'm sure there are many more combinations as well that you could look at! Not just from North America but any promo awards, economy class, Premium Economy you name it. If you hold elite status you could look at Air France First Class, the options are endless. If you find any deals please share it with our community in the comments belows!